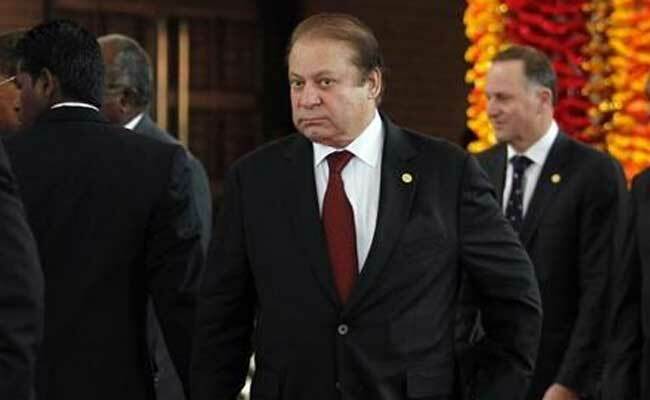 Pakistan Prime Minister Nawaz Sharif has been accused of taking money from al Qaeda terrorist Osama bin Laden to promote jihad in Kashmir. The allegation has been made by opposition leader Imran Khan's party - Pakistan Tehreek-e-Insaf. Imran Khan has been demanding Nawaz Sharif's resignation over alleged corruption. Fawad Chaudhry, a spokesperson from Imaran Khan's party said yesterday that he would file a petition in Pakistan's Supreme Court seeking admission of a case against Mr Sharif for "taking funds from a foreign individual to destabilise and conspire" against the country, The Express Tribune reported. Mr Khan's party says it bases its claim against Nawaz Sharif on interviews and excerpts from a book 'Khalid Khawaja: Shaheed-e-Aman' by Shamama Khalid, wife of a former Inter-Services Intelligence (ISI) spy Khalid Khawaja, who was brutally murdered in 2010 by the Pakistani Taliban. "Relying on the revelations made in certain interviews and a book, Pakistan Tehreek-e-Insaf intends to open up a shady chapter in the country's political history from late 1980s in an apparent bid to further malign (Nawaz) Sharif," the report in Express Tribune said. The interviews and the book claim that Mr Sharif "took money, amounting to Rs 1.5 billion from former al-Qaeda chief Osama Bin Laden to promote jihad in Kashmir and Afghanistan," the report said. They also claim that later, an amount of Rs 270 million from this money was utilised to support a no-confidence move against Benazir Bhutto in 1989, the report said. However in 2013, Pakistan Tehreek-e-Insaf leader Masood Sharif Khan Khattak, who is a former director general of the Intelligence Bureau (IB) had submitted a statement before the Supreme Court in a case related to misappropriation of the IB funds in 1989. In his nine-page statement, Mr Khattak had claimed that the moving force behind the vote of no-confidence against Ms Bhutto in 1989 was not political and named former president Ghulam Ishaq Khan and former army chief Mirza Aslam Baig, claiming that they wanted to keep Ms Bhutto out of power, the report said. Mr Chaudhry, meanwhile said, "In the past, (Nawaz) Sharif remained an active part of several conspiracies against the elected governments". Last week, Imaran Khan's party announced to open up another legal front against Nawaz Sharif, saying it would file a petition demanding implementation on a 2012 verdict of Pakistan's top court in the Asghar Khan case which determined that Mr Sharif and other politicians had received money from an intelligence agency prior to the 1990 general election to form an alliance against the Pakistan Peoples Party. He said the two cases would be filed this week.